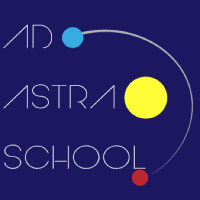 ​In April 2016, I attended Ad Astra to give the students a talk about black holes and gravitational waves. 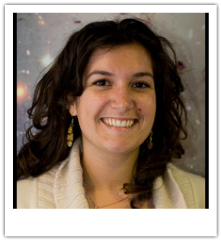 We discussed how stellar mass black holes are formed, and how they can be detected with e.g. LIGO, and touched on pulsar timing arrays. ​This was followed by hands-on activities including making waves with different frequencies, measuring the frequencies, and playing with the "Spandex Universe". 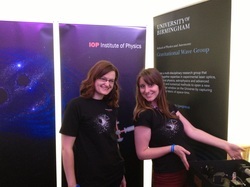 In 2013 I won an IoP Public Engagement grant which let me and the GW outreach group at Birmingham attend the Cheltenham Science Festival. We were stationed in Area 42, which is geared towards ages 14 +, although we did enjoy all the home schooled students who dropped by during the day. I estimate that we had around 450 guests over 3 days, and our surveys show that the exhibit was a success! 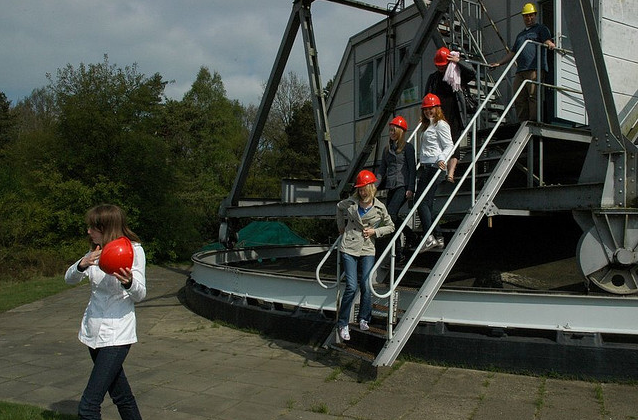 25 April 2013: I was invited to participate in Girls Day 2013, via Skype, at ASTRON (Netherlands Institute for Radio Astronomy) in the Netherlands. My role in this was to chat with 2 pairs of young ladies for an hour on Skype and to tell them about my work in astronomy. They were also encouraged to ask personal questions (not too personal! i.e. are you married, have kids, how old are you) so that the girls would see the astronomers as real people. I was very happy to answer their questions, and they indeed seemed to be very interested in my personal life over my career, but think this is normal for 13 year olds! For more info, see press release. Photo curtesy of ASTRON's flickr account. Jan 9th 2013 was a great night for doing outreach! I expect that there were roughly 400 people who came to the Gravitational Waves exhibition, in the Physics West Library, between 5-9pm out of the 800 who attended the event. There was a line out the door before 5! I was also on BBC Stargazing Live on 10 Jan 13 (Season 3 Episode 3, around 3 min mark) in a picture demonstrating our Lycra Universe to children :) 5 seconds of fame! 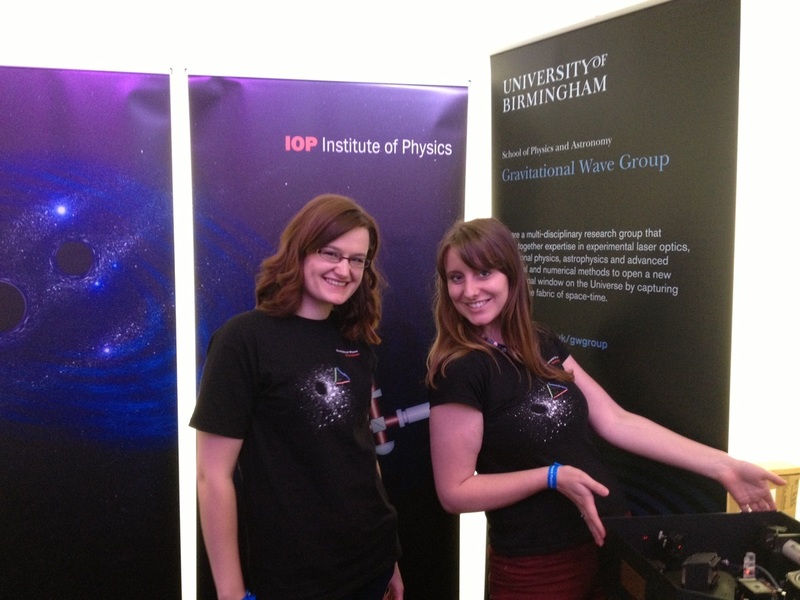 An article about this event was published in the University of Birmingham's EPS College newsletter and in the IoP's Women in Physics group newsletter. Today is my second day at Gravity Fields, Grantham, UK. We have had a lot of interest from school groups on days out with their teachers. Unfortunately our Michelson Interferometer is on the fritz, so we can't show onlookers demonstrations of how that works. Our lycra Universe is a success (again!) as in Black Hole Pong! I took some videos on the closing night and have posted them on my youtube channel. A special thank you goes out to the Gravity Fields social media gurus who retweeted all my tweets and made this event a social media bombshell for the Gravitational Wave Group at the University of Birmingham. Together with members of the Birmingham Gravitational Waves group, I have been awarded a £750 outreach grant from the Institute of Physics's "University Links Scheme" to visit local schools, or have them come to Birmingham to encourage students to study physics. Visited the Edgbaston High School for Girls on 6 May 2011, with my colleague Paul Fulda, for an outreach day. Organised an outreach event at University of Birmingham on 12 December 2011 for Holy Trinity School. About 20 students came, most of them female. A short article describing this event has been published in Physics World. I organised a GW activity day at Bishop Ullathorne on 2 Feb 2012 with Katherine Grover, Will Vousden and Dan Brown, although I was unable to attend. We are currently planning a large public outreach day in conjunction with Birmingham's Particle Physics Group to be held on 8/9 July 2013 at Cleeve School, Bishops Cleeve. More information on this soon. 3/10/12: St Augustine's (Science College): Intro to Gravitational Waves talk. 8/02/12: Ercall Wood Technology College, Harborne Academy, Perry Beeches: polarisation of light experiment. 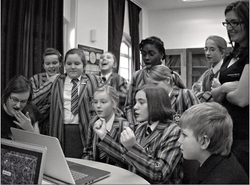 12/12/11: Holy Trinity International School: Gravitational Waves Outreach Day. I was at the Big Bang Fair at the NEC, Birmingham, Thursday March 15th and Saturday March 17th. It was a really great chance to meet young people who have a passion for science, and to share my own enthusiasm with them. Thank you to the organisers, it was a really great event! 07/02/12 - Thank you to everyone who came to my talk on "Looking for gravitational waves using pulsars". It was attended by 160 people (probably because I mentioned Black Holes in the abstract!) and from the feedback I've had, it was well received. Slides available on talks page. 11/05/11 - My first IoP lecture was for the Worcester branch, in lieu of Somak Raychaudhury. The lecture was well received and I was aked to give another on my own research at the University of Birmingham the following year. Fall 2010 - East Side Projects: Talk on "Nothing"
This was a talk on nothing which focused on the origin of zero and how it impacted the world of mathematics and physics. Will Vousden, Katherine Grover and myself represented Birmingham's GW group at the BBC's Stargazing Live 2012 event in Victoria Square, Birmingham on 13 January 2012. We set up multiple computers to showcase games developed by students in Birmingham's GW group (which can be found at gwoptics.org) which help the players learn about physics pertaining to gravity. The most popular games are Black Hole Pong and Space-Time Quest, which can be downloaded for free. Also on display was an app called "stretch and squash" which shows you what you would look like if a GW were passing through you. Another item of interest was the "lycra universe" which never fails to capture an audience. It is a model of Einsteinian space-time made with lycra for the fabric of the universe, a large steel bearing for a massive central object (this could be the sun, a black hole...) and golf balls to show planets or other objects in orbit around the central one. I was interviewed about this event by BBC's Ed Doolan for his radio show as well as by BBC Midland Today's David Gregory for the local news (live). 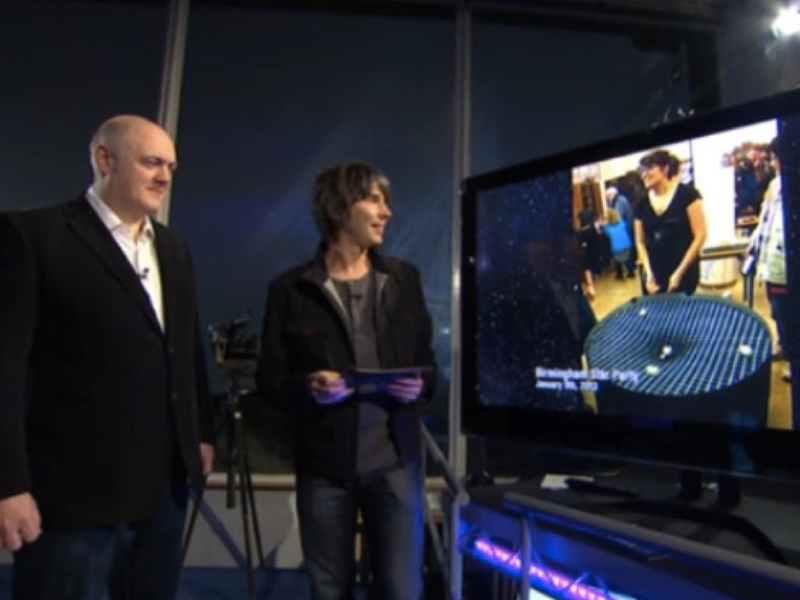 photo: Rocket launching at the BBC Stargazing live event 13/01/12. Photo courtesy of Will Vousden. I have been a STEM Ambassador since 2009, visiting schools to do outreach programs with children of all ages. Recent visits include Percy Shurmer elementary school in January 2010 and Edgbaston High School for Girls (this visit partially funded by the IoP School Links Grant) in May 2011.